Do you worry about growing credit card expense? If yes this article is for you. Controlling credit card expense will become child’s play now! We are herewith one simple app which can control your credit card expense instantaneously. How to Control Credit card Expense? Now control your credit card through mobile app. It is like managing your credit card through remote control. With single touch control when, where and how your card is used. OnDot System has developed app called as CardControl. This app allows you to manage your credit card using smart phone. This app is extremely useful for the people using credit card for everyday transaction. 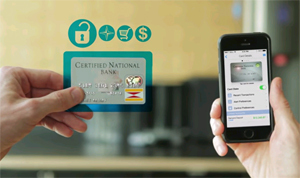 They can use this app to proactively control their cards and finances. OnDot products are made available to consumers by their banks and credit unions. Just see following video to understand how CardControl can help you to control your expense. Traveling user can used location control to enable and disable credit card usage based on location. CardControl prevent web based fraud – Just enable web based transactions whenever it is required and once you are done disable it. Good news is that In order to use CardControl you do not require any extra hardware or different card. The service works fine with the existing cards and all you need is install an app on your smartphone. You need to check with OnDot System to see if your card provider or bank uses this facility. OnDot System has started offering service in USA. Lone Star Bank in Texas an early adopters of the service, has reported a 60% drop in their losses annually due to card frauds. OnDot System has 70 employees based in India. This company has signed deals with major credit card company and soon you will find this service in India. For More information read – Business inside Story here.